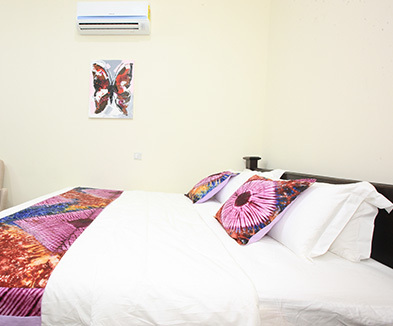 Single rooms or entire 3 bedroom furnished apartments are available for short or long -term stay. Extended guest accommodation means uninterrupted stay of 14 days and above at the Lodge. Accommodation between 14 and 30 days attracts a 12.5% discount on stated Lodge rates. A continuous stay beyond 30 days at the Lodge attracts a discount of 25%.